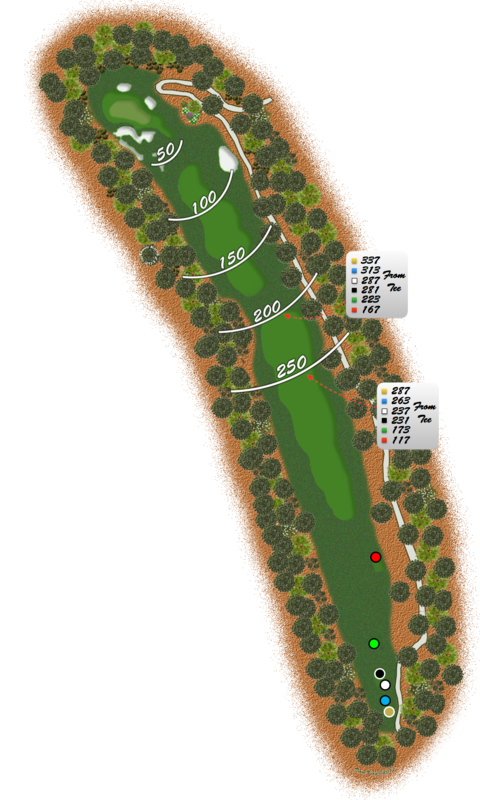 The fairway offers a favorable right to left slope both off the tee and with the second. Two patches of rough across the fairway are best avoided even if it means laying up. The short and narrow entry to the green guarded by front and right bunkers makes for a difficult run-up. Long hitters may “go for it,” but the second is all carry. Still a good chance for a birdie or even an eagle!